Marketing agencies perform a lot of services for their clients. They handle all aspects of a client’s marketing and advertising processes. Everything from branding, unique logos, market research and strategy to custom designs and digital marketing can be included in a marketing agency’s efforts. One marketing concept that is often used is white label marketing. This is a way of business that allows one particular product or service to be sold and branded under a different company’s branding. It’s a protocol that has been used for many years in many different industries around the globe. You can read more about white label marketing success stories online. You can also find out about companies that offer these services. Visit websites for white label partnership program for more details. You can also check with local marketing agencies to see if they offer these kinds of services and read about past case studies. 1. It’s a time saver. Using white label marketing is a very convenient strategy. You don’t have to reinvent the wheel when it comes to selling the features of a product or service. Most agencies are well experienced in this marketing, and take the time to tailor these efforts to meet their individual clients’ needs. 2. It’s often less risk for greater results. White label marketing is a proven business model that works. Hundreds of companies are currently using this strategy. It’s especially effective when focused on existing clientele. Hiring a marketing agency to perform and create these kinds of campaigns allows companies more time to focus on what they do best: increasing sales and revenue performance year over year. 3. It’s a cost-cutting move. 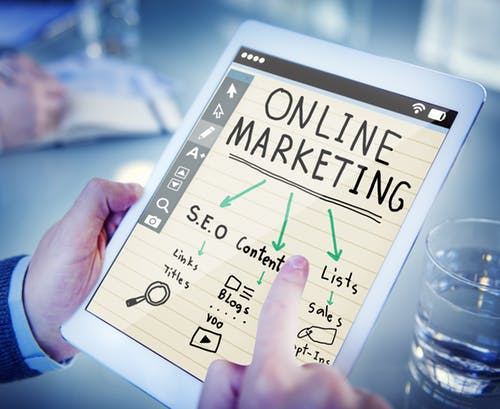 Although some cost-cutting efforts in business often have negative connotations, using white label marketing is actually looked upon as favorable at most firms. It saves a lot in terms of both time and production costs. It’s also something that can be focused on by a specific expert individual or two. 4. They generate more revenue. White label services can be offered to marketing clients at a higher fee. That extra fee is profit for the marketing agency. The more you work with clients on white marketing label products, the more revenue is generated overall. It’s an easy way to improve your bottom line and something that you can factor in on an annual basis. 5. It makes for more effective marketing campaigns. Choosing white label marketing allows agencies to run more efficient and effective marketing campaigns. They can reach a broader target audience with each segment of the campaign. They can run advertising in different media across multiple markets. The end results create awareness and interest in your client’s products, which is beneficial for both you and your customers in the long run. These are just some of the many reasons why marketing agencies run white label marketing campaigns for their clients. They are also a good way to upsell existing customers on additional products and services. While it may not be for everyone, white label marketing has its advantages for most major products and industries. It’s a simple way to drive results and improve profit on a consistent basis.